When iOS 7 was jailbroken one of the first things everyone got excited about was the prospect of being able to re-skin their iPhones and iPads. With the new look that iOS 7 brought with it, the need to customize it became a big deal for some, and the theme they all wanted was Ayecon. Popular through other releases of iOS, Ayecon has made a name for itself by providing highly polished icons that more closely resemble the apps they represent. If you’ve ever looked at an icon on your iOS device and not been able to immediately identify what it is for, then Ayecon will probably be right up your street. 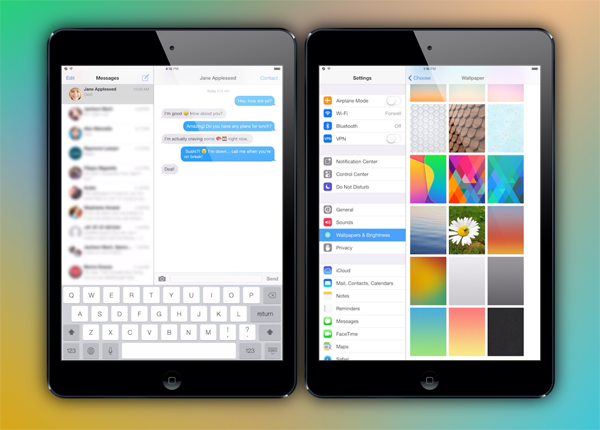 Following the release of the iOS 7 jailbreak work began on Ayecon for iOS 7, and a couple of days ago it was finally released for Apple’s latest mobile operating system. Or at least, it was for the iPhone. Today has seen the popular Ayecon iOS 7 theme be released for the iPhone’s bigger brother, with the iPad now also receiving the new icon treatment. Of course, Ayecon is much more than just some new icons though, with a new dock, improved status bar and even altered iMessage chat bubbles included in the package. All can be individually turned on and off via WinterBoard, but we personally think that they all work so well as a package that it’s best to go all-in. We’re sure you’ll agree too. 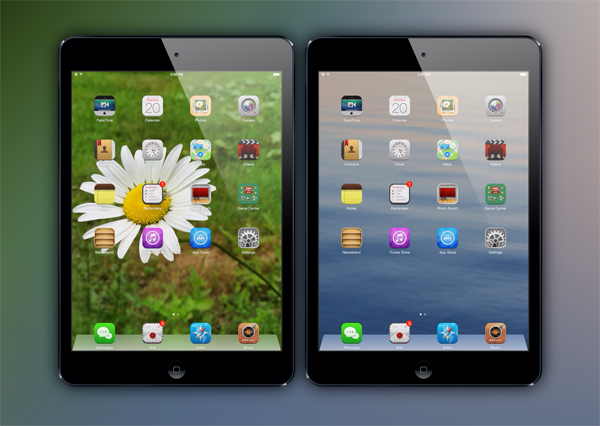 If you want to get the Ayecon look on your own iPad, or indeed iPhone, then it can be installed via the jailbreak app store Cydia and costs just $2.99 for each version. Given the amount of work that’s gone into making these icons, that’s a small price to pay. 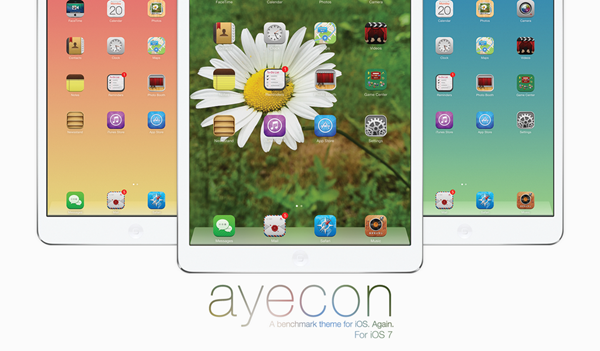 If you’ve already bought the iPhone version of Ayecon you’ll even get a dollar’s discount on the iPad version. And you just owe it to yourself to get both. 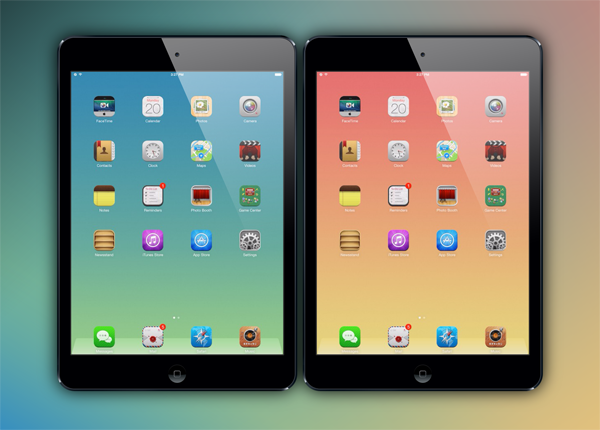 And if you had previously bought the theme for your iPad, then this version is absolutely free. You know you’re worth it.